Adaptive Training Planning For The Win! 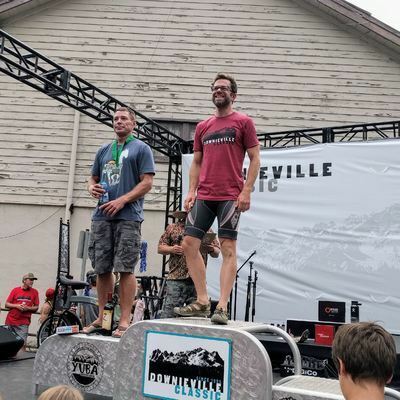 Fresh off a solid ride in the BC Bike Race which saw him finish just outside the top 20, Jeff put his VeloPro training to good use in the Downieville Classic mountain bike race. Seven years after a hard crash scuttled his chances of success, Jeff made this one count. After being held up by slower riders from another class on the first climb, Jeff made up time on the tricky descent which he found "much easier than last time." He went on to say "Luckily the weather was overcast, so I was spared some heat. I still had cramps in my hamstrings on the last third of the descent - I had to raise the dropper (seatpost) because I had to stretch." Congrats on a solid ride!